Go to Addie's for details and to register. This is a variation on the Icicle Star pattern. It looks lovely done in scraps. The Icicle Star pattern required. 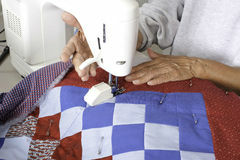 Create a great scrappy look quilt using the Lucky Stars pattern. The first class will focus on piecing and assembly in the second class. This is a quilt that is fat quarter friendly and comes in sizes from kids to king. Pattern purchase required. Create a table toppers or wall hanging where the center can be changed out throughout the year. Through the Year pattern by Kansas Troubles required. A twist on the traditional log cabin quilt. 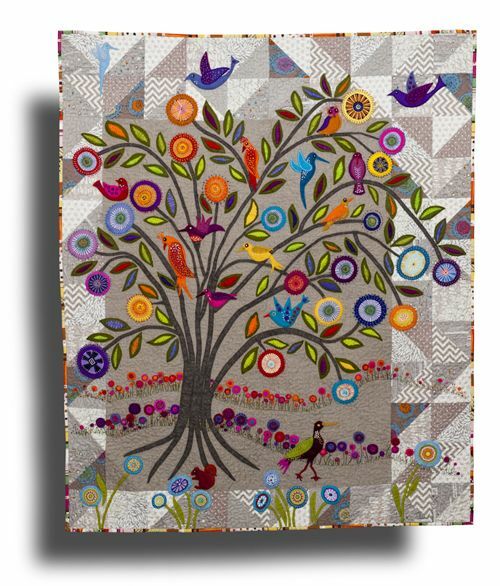 It can be made for any size bed, and the optional border print adds another interesting twist. Crazy log cabin ruler is available. Create this stunning wall hanging of a blue heron using Toni Whitney’s technique. Pattern purchase required. 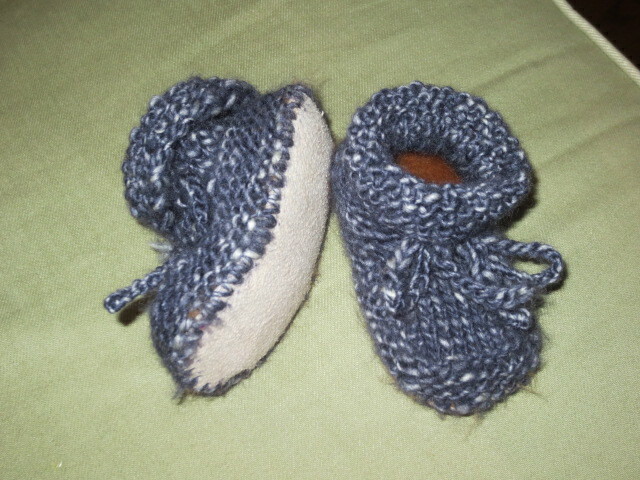 Knit these cute baby booties with a sheep shearling sole. Beware, the hide will create a lot of fibres, so avoid flannels or other fibre attracting clothing for the class. design your own private or group course ... leave your info and request for Carol at Addie's and I will contact you and we can arrange a time.